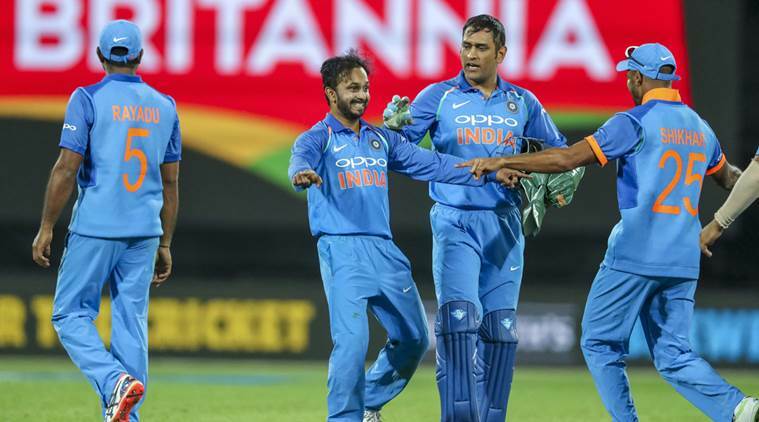 Ind vs NZ, India vs New Zealand T20, 2019 Schedule, Time Table, Squad, Fixtures, Date, Venue, Timings: India take on New Zealand in three T20Is which follow the ODI series. Ind vs NZ, India vs New Zealand T20 2019 Schedule, Time Table, Fixtures, Date: India and New Zealand will shift their focus to T20Is after the five-match ODI series went in favour of the visitors. India had no trouble taking an unbeatable 3-0 lead in the ODI series but then showed glimpses of jittery batting in the fourth and fifth dead rubbers. In the fourth ODI, India were dismissed for a paltry 92 runs, to lose by eight wickets. And in the fifth ODI, India were 18/4 before Ambati Rayudu, Vijay Shankar, Hardik Pandya and Kedar Jadhav staged a comeback to steer the side to 252. In reply, New Zealand fell 35 runs short to lose the series 4-1. In terms of personnel news, India have already rested Jasprit Bumrah and Virat Kohli for the T20 series. For the hosts, Martin Guptill has been ruled out after failing to recover from a back injury. His place in the squad will be taken by all-rounder Jimmy Neesham, who also featured in the final two ODIs against India. The three-match T20 series between India and New Zealand starts on February 6 at Wellington, followed by second match at Auckland’s Eden Park on February 8 and the final game at Hamilton on February 10. 2nd T20: February 8 at Eden Park, Auckland. Toss at 11.00 AM IST, start at 11.30 AM IST. 3rd T20: February 10 at Seddon Park, Hamilton. Toss at 12.00 PM IST, start at 12.30 PM IST. India’s tour of New Zealand is being aired live on Star Sports Network. The series will be aired in English commentary on Star Sports 1 and Star Sports 1 HD with Hindi commentary on Star Sports Hindi and Star Sports Hindi HD.